Mango flesh wrapped around a bone. Menus for dining with ghosts. Life, death, and suburban Baltimore, illustrated through a series of tastes. 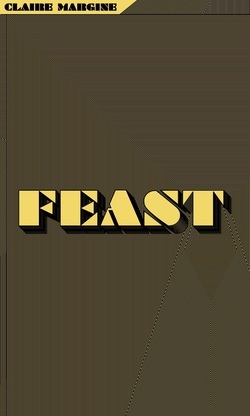 Feast is a collection of my food writing published by Alley Cat Books. It's available at Alley Cat Books, Needles and Pens, Dog Eared Books, Adobe Books, and The Grand Newsstand. "Claire is a strategic thinker when it comes to social media organizing. She can plan and execute campaigns that reach targets and action goals. Her listening skills are essential for the two-way communication that is social media. And Claire has a terrific creative sense; she writes engaging content on deadline." "Claire is a brilliant writer and savvy tech guru who knows how to creatively utilize new media tools for maximum impact. There is nothing I have thrown at her that she hasn't mastered quickly and effectively. Plus, her can-do attitude and engaging personality make her a dream to work with."